Port Jefferson Station, NY - August 31, 2013 - Suffolk County Highway Patrol and Sixth Precinct officers, assisted by New York State Troopers, Suffolk County Parks Police and Metropolitan Transportation Authority police officers, conducted a sobriety checkpoint on Route 25A in Port Jefferson Station. This operation was conducted for the prevention of injuries and fatalities associated with driving while intoxicated, particularly during the beginning of the Labor Day weekend. A total of 976 vehicles went through the checkpoint. The above individuals will be arraigned at First District Court in Central Islip on August 31. 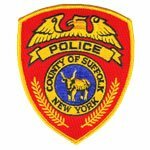 Subject: LongIsland.com - Your Name sent you Article details of "Eleven People Arrested at Sobriety Checkpoint"